Here in the USA we celebrate Thanksgiving and reflect on what we are thankful for. I've a long list, but one of the main things I'm very thankful for are my readers! They rock! They've given me such joy over the years! So I'm doing a Thanksgiving Give Away Extravaganza of 6 books! This is for my readers so I've put in questions so I know you're a reader and not some random person hoping to win a book. These give aways are open to ALL!! 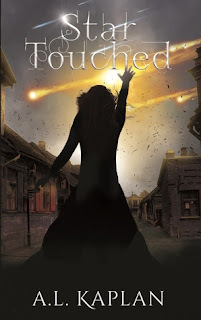 STAR TOUCHED Author Interview & Giveaway! Hello! Today I'd like to introduce you to A. L. Kaplan, the author of STAR TOUCHED. She's a super lovely lady and talented author. I had the pleasure of reading her book a few months ago for a potential blurb, which I happily provided. She is also offering to give away 2 copies of STAR TOUCHED to two lucky winners. To enter, go to the Rafflecopter form below. It's limited to US and Canada only. Here's the cover blurb: Eighteen-year-old Tatiana is running from her past and her star-touched powers. Her power to heal may be overshadowed by more destructive abilities. Fleeing the persecution of those like her, Tatiana seeks refuge in a small town she once visited. But this civil haven, in a world where society has broken down, is beginning to crumble. Will Tatiana flee or stay and fight for the new life she has built? Only by harnessing the very forces that haunt her can Tatiana save her friends and herself. Shattered Glass Audio Book Giveaway! 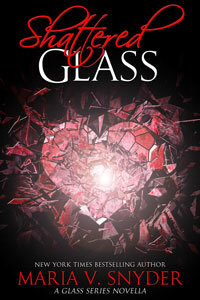 Now that the excitement of DAWN STUDY's release is winding down and the feedback I've gotten has been super fantastic, I'm giving away 20 copies of SHATTERED GLASS' audio book - narrated by the extremely talented Gabra Zackman. If you haven't read SHATTERED GLASS - it's an eNovella about Opal and the story events happen after NIGHT STUDY and go into the beginning of DAWN STUDY.